Marquette Park, situated along the South Shore of Lake Michigan, is one of Northwest Indiana’s most admired yet underutilized lakefront parks. 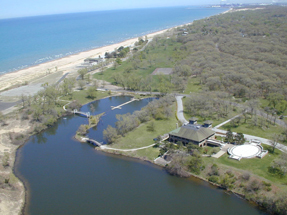 Upon completion of the Master Planning Phase, Bauer Latoza Studio is providing architectural services for the Phase 2 implementation as well: restoring and renovating the Recreation Pavilion, the Gary Bathing Pavilion (Aquatorium), the Father Marquette Statue, and designing ancillary park structures. 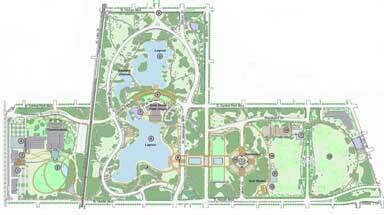 Bauer Latoza Studio developed a master plan to provide overall planning for future development for the Ladd Arboretum. Through community input and site analysis, Bauer Latoza Studio envisioned a coherent design vocabulary for the arboretum to increase biodiversity; incorporating unified site furnishings, a consistent planting plan, enhanced entrance nodes, and an updated circulation system. Bauer Latoza Studio led a team of consultants through site research and analysis, coordinating with local governmental and environmental groups, to prepare the Framework Plan and Guidelines for Burnham Park. We developed a master plan for future architectural and landscape planning and development, as a long-term resource for park improvements. 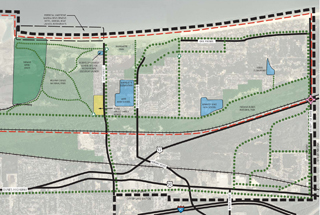 Project Address: The four-mile expanse of Chicago’s lakefront that borders the Museum campus to the north, and Promontory Point (55th Street) to the south. 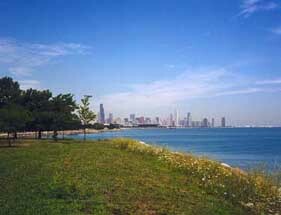 Garfield Park was elaborately designed for the growing city population of 1871 by prominent Chicago architects. Prior to the framework plan, the historic park was underutilized, bisected by numerous roads, and in need of updated programming. Bauer Latoza Studio led a team of eleven consultants in a two-part revitalization project, incorporating new community gardens with a long-term master plan. The year-long comprehensive plan for the City of Gary identified both long- and short-range cohesive goals focused on six sub-areas. Bauer Latoza Studio, along with a team of consultants, facilitated the process addressing land use, streetscapes, historic resources, environmental factors, infrastructure, and economic development opportunities.